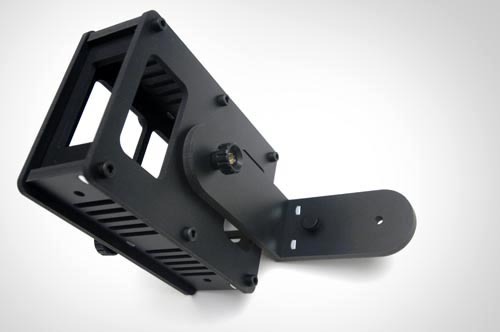 The "cage FS-100" (60 Euro / 75 US$) protects your Focus FS-100 harddisk against scratches and bumps, you can mount it with its backside screw on small articulated arms (Noga or Magicarm) on the thread on the grip of your camera. All cameras have a 1/4" thread on top somewhere. The fixing screw can be mounted on the back or sideways, left or right. 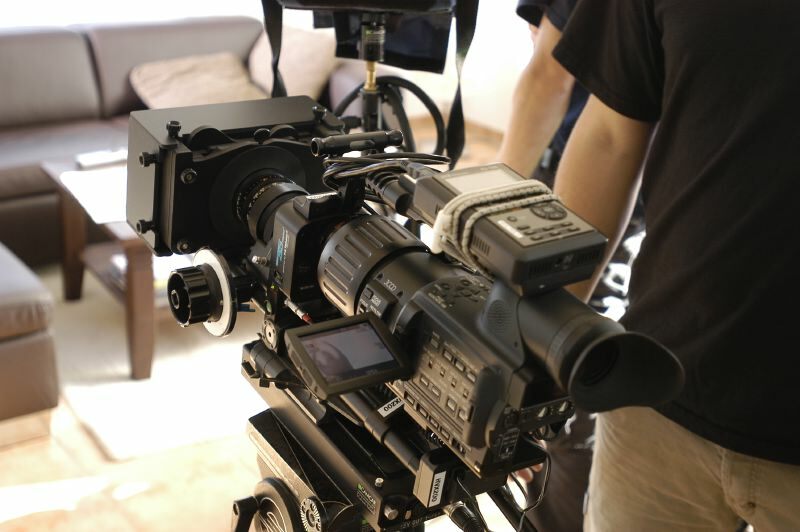 And if you like, you can clamp your FS-100 with whatever on whatever arm, it is rocksolid to withstand those pressure. Don´t worry about scratches on the front anymore. All plugs and connectors of the FS-100 are considered in this design. For battery change you have only to open one screw and flip the cover to the side. 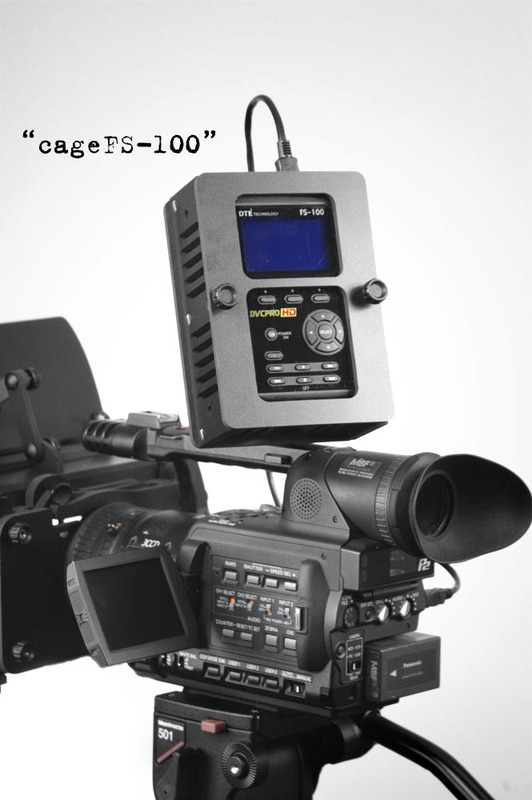 the "cage" is designed for the use with all Firestore harddisk recorders and accomodates the bigger, extra-strong battery. the "cagefix" ( 20 Euro / 25 US$) to attach the "cage" to the handle of the camera. The small black screw has 1/4" diameter. The picture on the left shows the "cage" attached to the HVX200 with a Noga arm, the "cagefix" will hold it more upright in a 90 degrees angle.